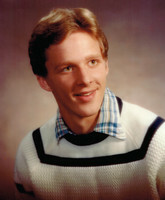 A graduate member of the Tomahawk High School Class of 1983, active in track and baseball all four years, played basketball three years and football two years. Troy earned ten letters which included four in track and baseball, one in basketball and one in football. In track, Troy earned three All-Conference honors. During his junior year as a member of the 800m Relay Team, he became a regional champion while helping Tomahawk win a regional title. As a senior, Troy was part of another regional title helping Tomahawk achieve the first team sectional title since 1965. In baseball, Troy earned two All-Conference honors. Accomplishments in summer baseball included being part of three regional teams, one sectional team, and one state team. Troy has remained quite active in the Tomahawk community and has continues as coach of youth baseball. For over 10 years, Troy was a certified WIAA official in football, baseball, softball and basketball. He has served on the Tomahawk Youth Hockey Association Board for four years and was president of Tomahawk Youth Baseball for four years. Troy’s first employment after high school was as a driver and salesman for Taystee Bread. His current career is in the pulp operations at the PCA Tomahawk paper mill where he has worked for the last 19 years. Troy currently resides in Tomahawk with his wife Jill and two children Ashley and Aaron.